By now, I'm pretty sure people are still looking for the best salted egg potato chips in Manila. 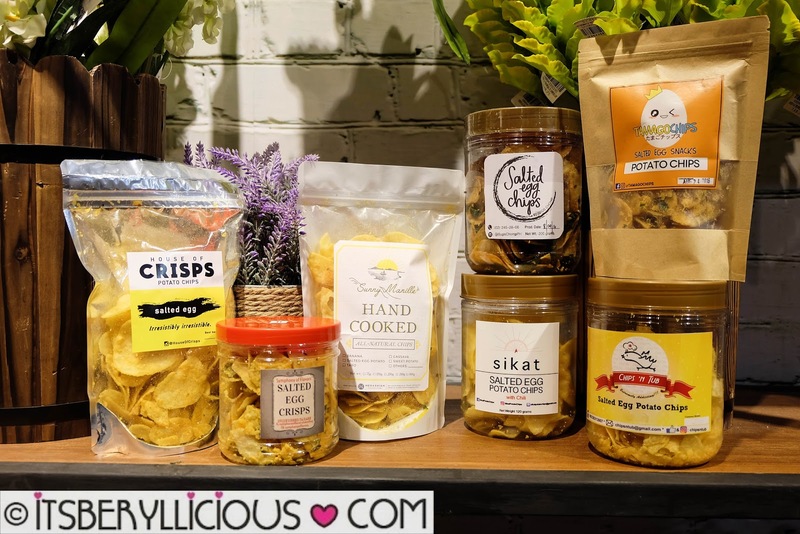 The addicting snack from Singapore has taken over facebook and instagram feeds of foodies from around the metro, with the quest to find the best in town. 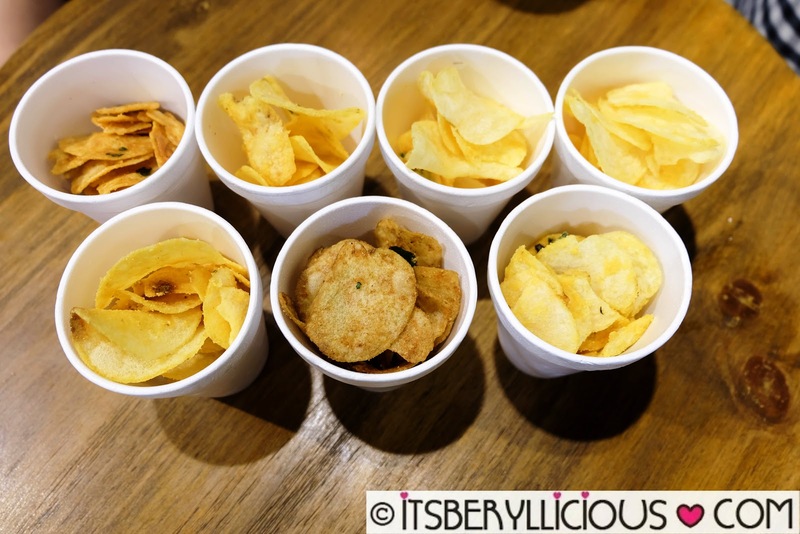 Last week, my salted egg-loving friends joined me for a fun and exciting taste test of the newest snack trend in the country. I found more than 10 brands around, but was only able to get a hold of 7 due to unavailability and inaccessibility of the other brands. This review is based on a blind test by 5 participants. It was nice to hear different and contrasting comments from everyone, setting aside favoritism and bias. We placed the chips on small cups, with only 2 people knowing what the brands were. Although some were dead giveaways due to the color, we still enjoyed the guessing game. 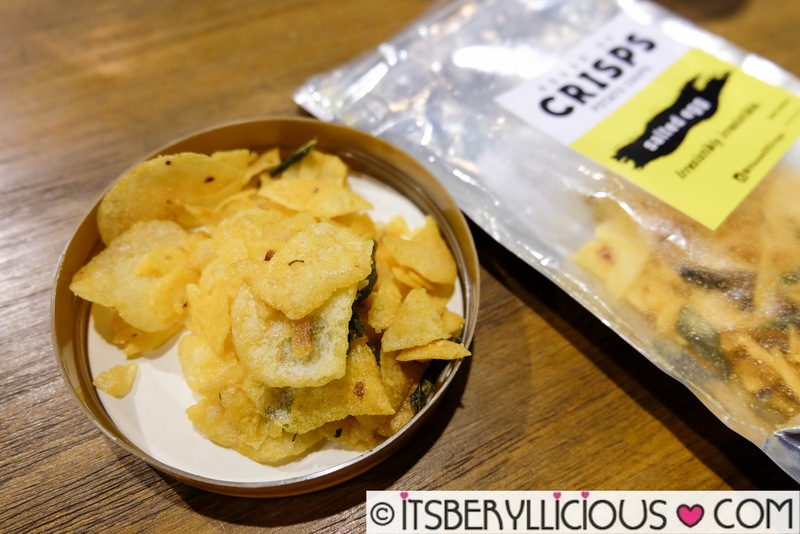 First on the list is House of Crisps, which is one of the pioneer brands to offer a local version of the addicting snack. It has a sweet and buttery taste which everyone liked, followed by a subtle kick of spice that made it less cloying. Everyone pretty much had House of Crisps on their top list. 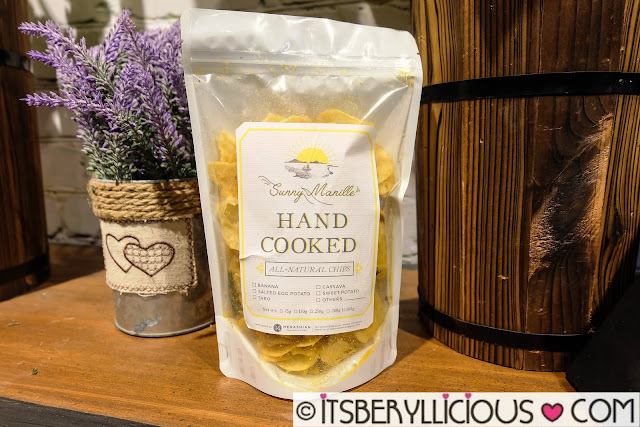 We loved the packaging of Sunny Manille. The hand-cooked and all-natural label somehow gave a psychological advantage and impression that it is a healthy snack. Sunny Manille has a similar buttery taste as House of Crisps. It had this nice salty-sweet balance of flavors with the right hint of spiciness to it. You'll get your money's worth on Sunny Manille, as each pack is completely filled to the brim. 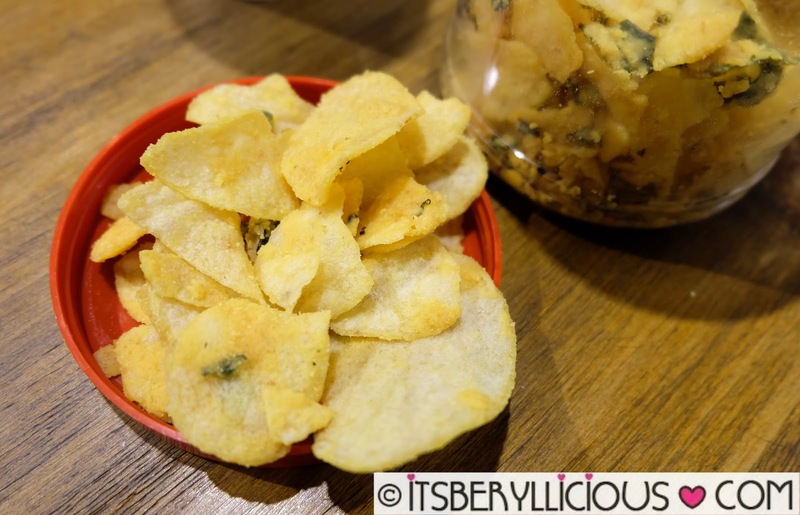 Sunny Manille also has larger and thicker-cut potato slices making it more pleasurable to snack on. 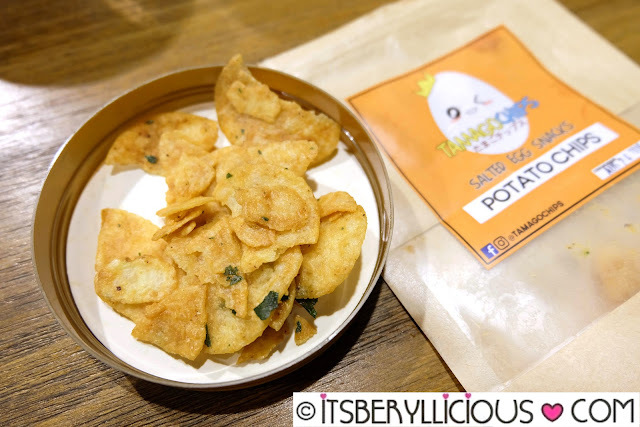 Tamago Chips may be pricey for a small pack, but it was undeniably good! 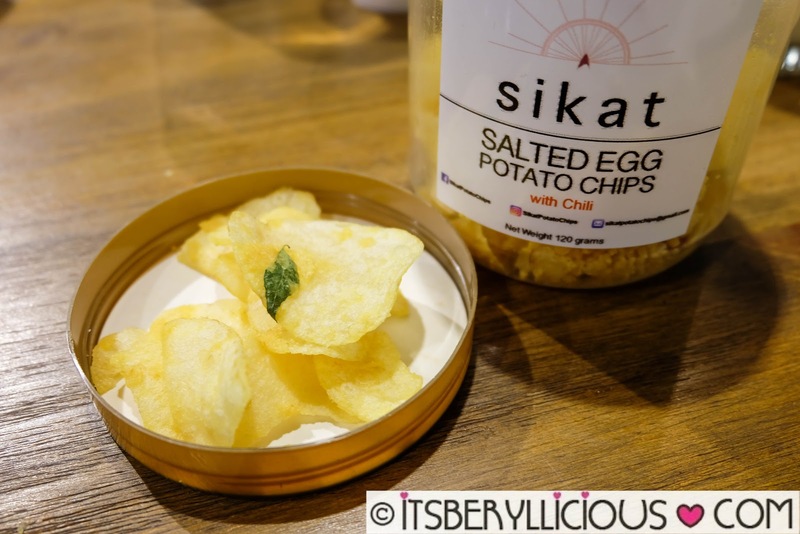 This comes close to The Golden Duck salted egg chips from Singapore. I don't know why, but the taste reminds me of pork floss or 'mahu" I used to eat with my congee when I was young. 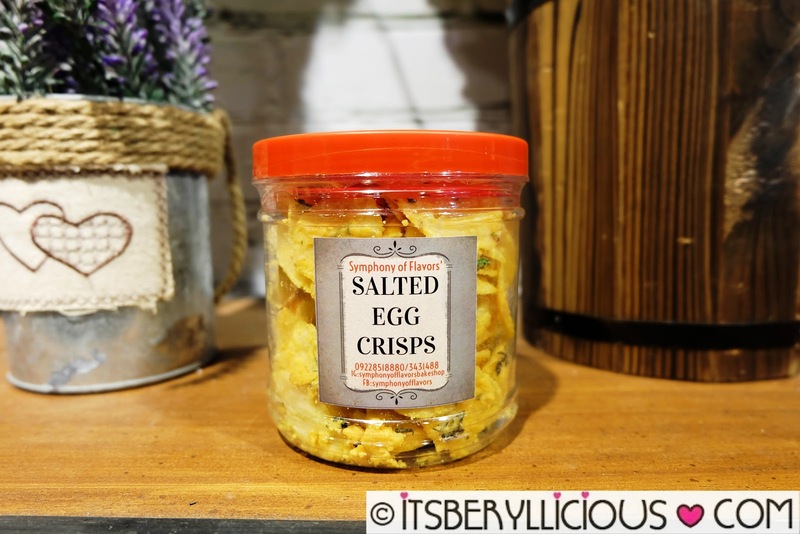 The thick-cut chips are small in size but big in flavor, as each piece is coated with a thick layer of salted egg. This one is more sweet than salty in taste. We go to Bugis for their laksa and other affordable Singaporean dishes. 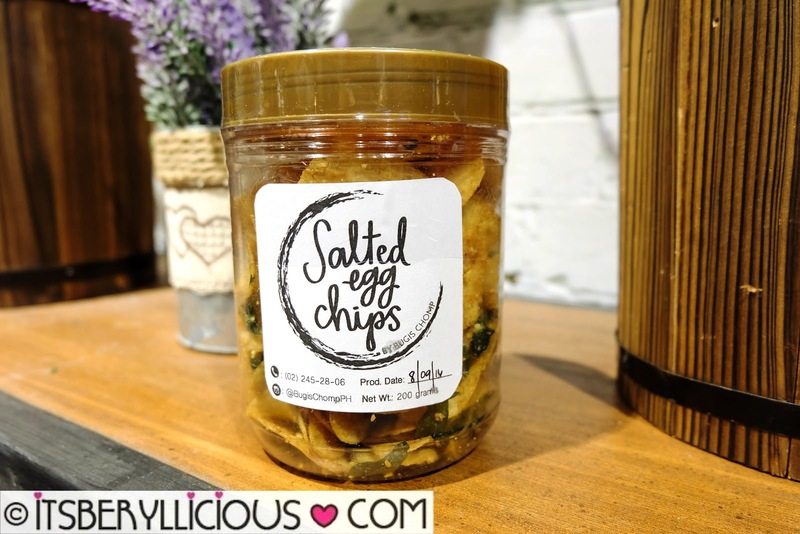 I was able to try 2 different batches from of salted egg chips from Bugis. The first version has a unique and distinctive taste. It's either you like it or you don't. The reactions were divided with one group liking it very much, while others didn't dig the exotic flavor. Our initial comment was that it smelled and tasted like "balut". Don't expect the same sweet and buttery taste which most local versions have, as this one is more savory than sweet. If you are a "balut" fan, then you'll definitely like this one. The recent one I bought was a completely different version of the first one. 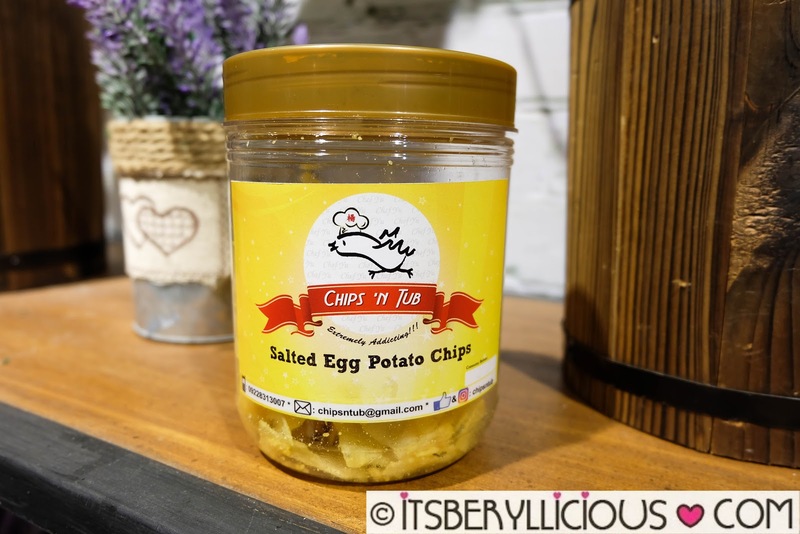 Now, the taste is safer and comparable to other local salted egg chips in the market. It is sweet and buttery, but quite oily and not as crunchy as the first one. I personally liked the new version because it tasted safer, but the exotic flavor of the first one was not too bad either. I think they are still in the process of getting the perfect recipe. 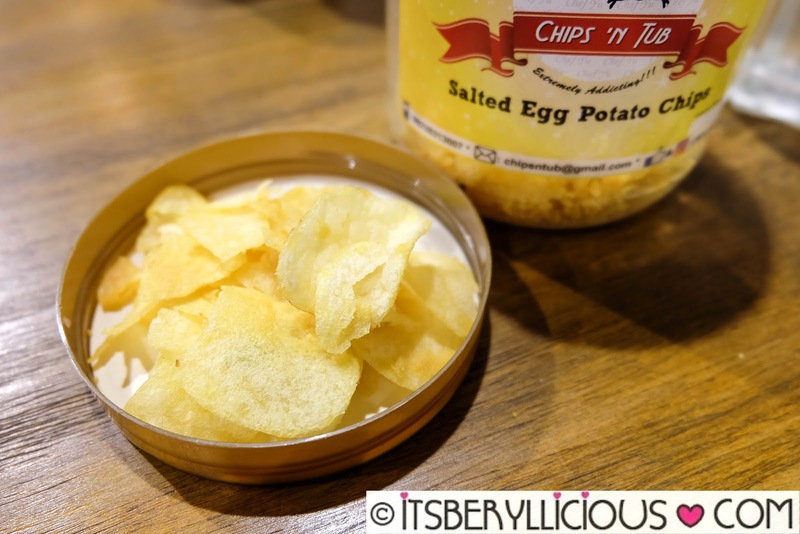 Symphony of Flavors may be one of the priciest tubs among all the salted egg chips we tried, but they definitely did not scrimp on ingredients, as it also has the most salted egg crumbs in a jar. Given that, you would expect the chips to have a strong and distinct salted egg flavor. Unfortunately, most commented that the flavor was too light and the salted egg crumbs were not evenly distributed. Make sure you consume immediately, as the batch we bought had a funny smell when opened. Looking at the bright side though, maybe there were no added preservatives, so the shelf life is set to a minimum. Chips 'N Tub was the most accessible to me since I work near their pickup location. I personally feel that the container is too big for its content. The tub is sealed but half-full, giving the impression that it's quite expensive for its price. 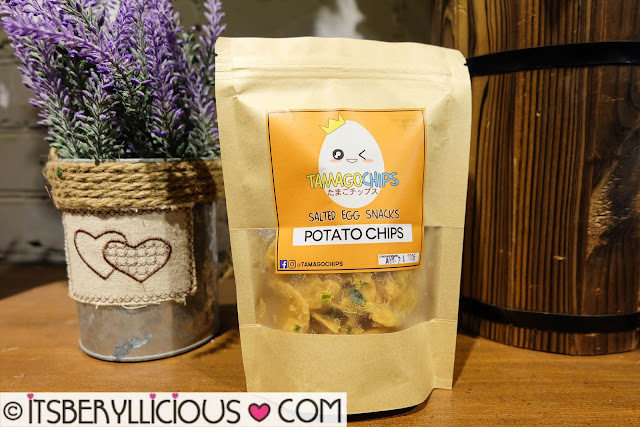 Most commented that it was too light and tasted just like regular potato chips. As you can see below, there weren't much salted egg crumbs on it. I wouldn't mind having this again though should I badly craved for one in the office. The priciest tub among all the salted egg chips we tried, we were expecting to be blown away by Sikat. We got the spicy version with chili, but it was not too spicy at all. It had a right amount of kick to the chips, but we found it lacking in terms of the salted egg flavor. It is very light and tasted much like regular potato chips. It had an almost identical taste as Chips N' Tub. It was good, but not mind-blowing for its price. 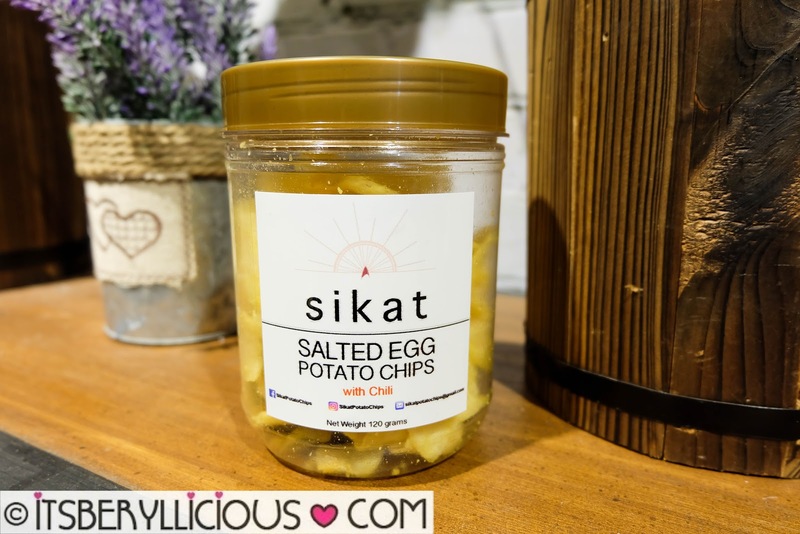 I am a huge fan of junk food especially potato chips, so I find this new trend a nice alternative to my junk food cravings. Although they are still not as healthy as fruits and nuts, at least they don't contain added preservatives and chemical flavorings. However, I personally find prices for these salted egg chips too expensive for their net weight. One tub can already buy me 2 large bags of my favorite crunchy cheese flavored snack . Nevertheless, I won't mind having them once in a while. 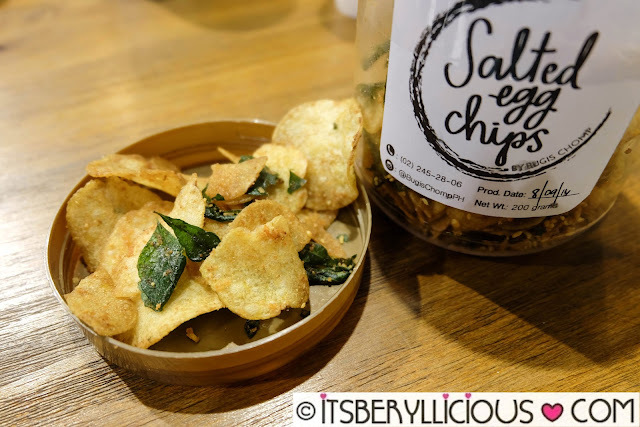 At the end of the day, it will be hard to argue about who has the best tasting salted egg chips in the market. People will have their personal preference, and what may be good for me, might not be good for you. This post is based on our personal experience of trying out different salted egg chips brands. Combining the top picks of everyone, top three favorites were Sunny Manille, House of Crisps, and Tamago Chips. What's your favorite local version of salted egg potato chips? 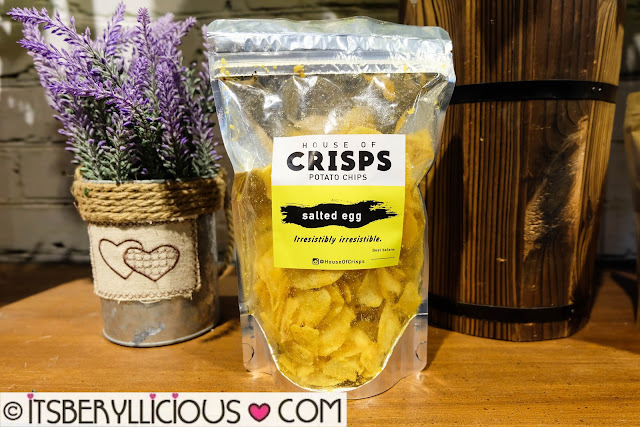 I tried crisp of chips and it's delicious with sweet and salty eggs taste makes unstoppable to eat each big pack.